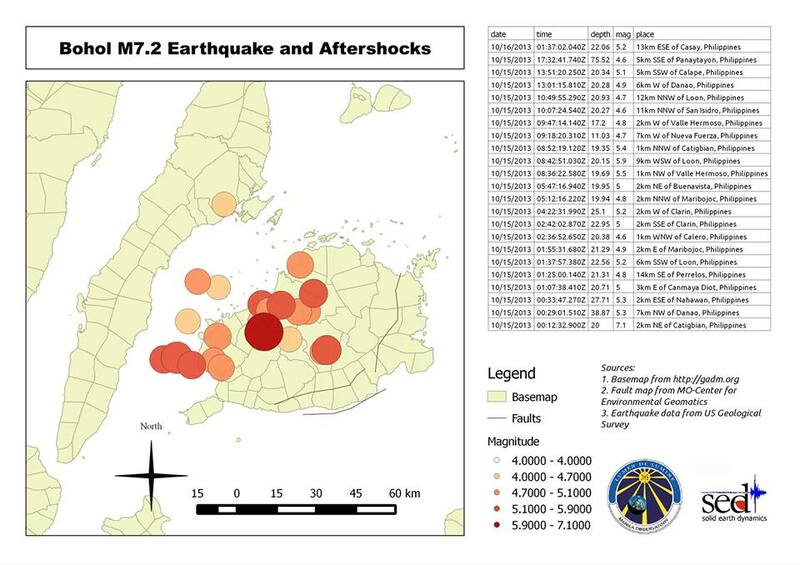 A magnitude 7.2 earthquake shook Bohol and nearby areas on October 15, 2013. SED recorded the data and made some analysis on the history of the quake. Historically, there have been 35 other earthquakes with magnitude greater than M6.0. The closest to M7.2 earthquake within the vicinity happened in March 5, 1984 with magnitude M6.4 based on the International Seismological Centre database.